Ford has finally manufactured a Focus wielding the “RS” badge, and we couldn’t be happier. We wanted to improve and upgrade a lot of things on this car and among those priorities had to be an intake. Our engineers have spent many hours in development, performing a handful of tests and data collection, so that our intake gives you the right results. This is a full intake, replacing every core component in the OEM system, including the airbox and the intake pipe. Our kit includes a 3” aluminium pipe that routes all the way to the turbo, with all of the necessary bracketry for a perfect fit. The airbox has a similar design to the stock airbox, facilitating an improved pressure drop with an open top, so that the filter is exposed to more air while also sealing the box against the bonnet, keeping it fully enclosed. This airbox uses the factory air inlet ducts, grabbing air right from the front of the car, and the ports are surrounded with weather stripping to avoid movement. We have put this intake through hundreds of miles of road testing and countless dyno runs to ensure repeatable and reliable max gains of 12 hp and 15 ft-lb of torque. No cutting or modification to factory components will be necessary. This kit is a direct bolt-in for the 2015+ Ford Focus RS, and of course, this product is covered by the Mishimoto Lifetime Warranty. The Pumaspeed Workshop team are ready to fit the Mishimoto Focus RS Mk3 Performance Air Intake in our Head Office located here. Therefore making parts and labour a total cost £449.50 (inc. VAT). 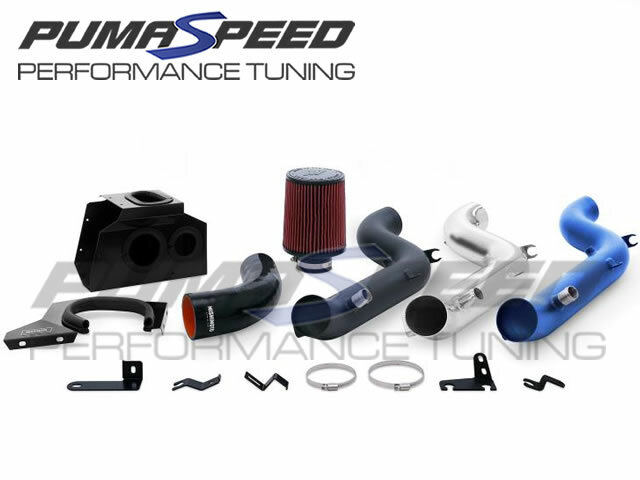 Pumaspeed have a specialist distribution team that can dispatch the Mishimoto Focus RS Mk3 Performance Air Intake to any destination worldwide.